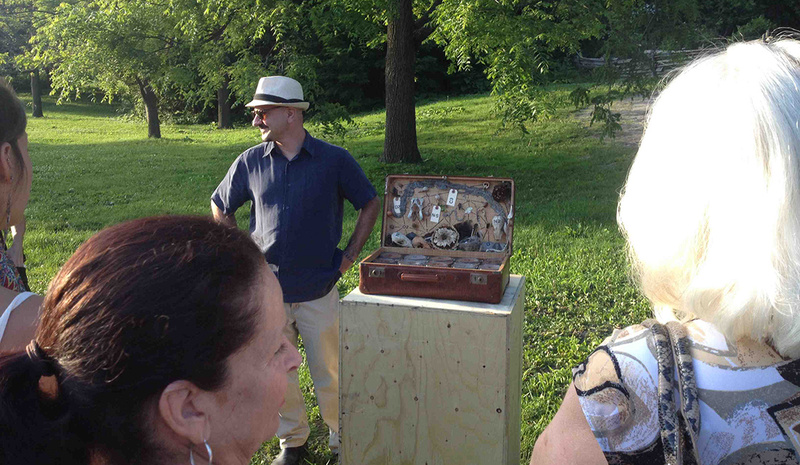 No.9 has commissioned 6 artists to create site-specific installations around the grounds. These artworks address themes of environmental awareness by tapping into parts of the natural, or historic history of the area. Artists have also considered contemporary themes around sustainable practices in the following 9 categories developed by No.9: water, waste management, alternative energy, public art, open green spaces, civic engagement and leadership, transportation, urban agriculture, and green building design. No.9 will lead art tours at Noon, 2pm, 4pm, and 6pm every day (on Sunday the last art tour will be at 4pm). Led by a No.9 Volunteer Docent, tours will discuss the curated public artworks that have been installed on site by Canadian Artists. These works will be discussed in context to the natural or historical heritage of the area. 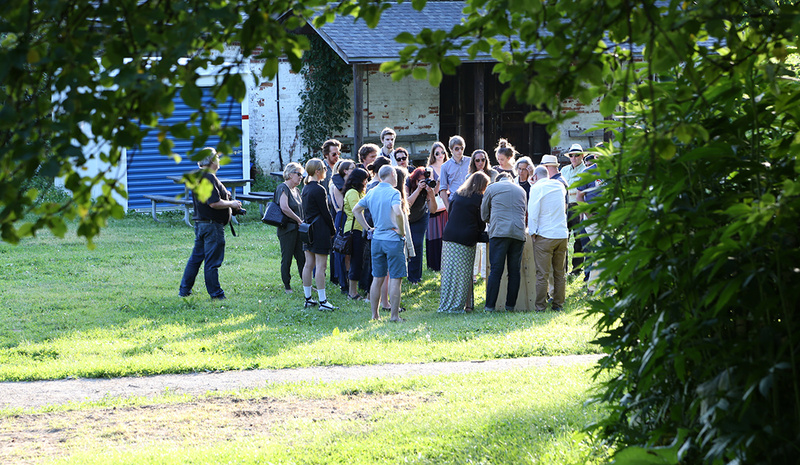 Participants will tour the site on foot, discovering new stories and works around every corner. 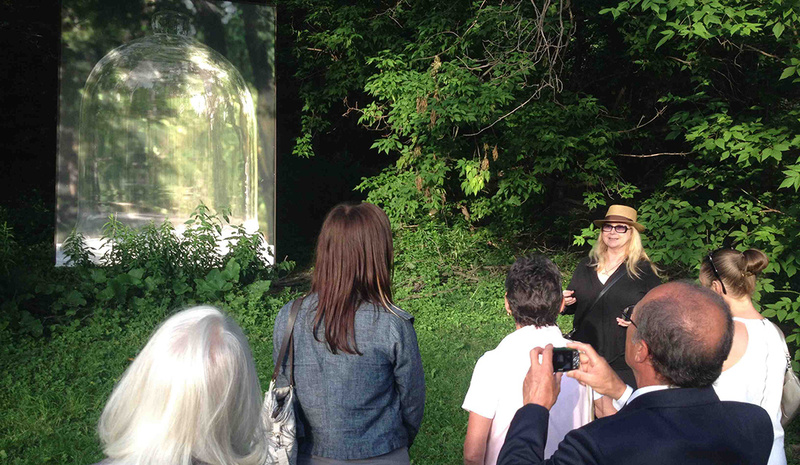 At 2pm each day the Art Tours will be combined with a Todmorden Mills Heritage Tour. The tour will last up to 45 minutes depending on conversation, however the walk is only about 1 km from start to finish. 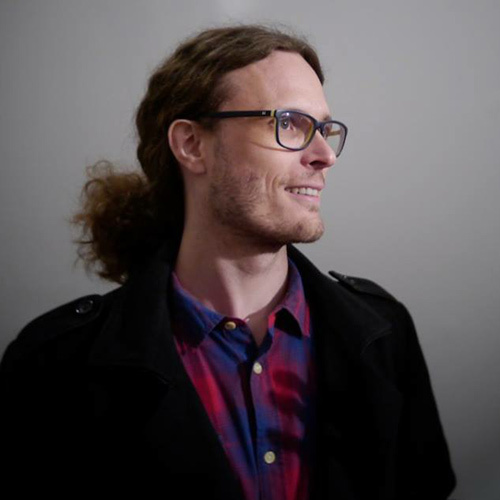 Tor Lukasik-Foss is a multidisciplinary visual artist, performer and writer. 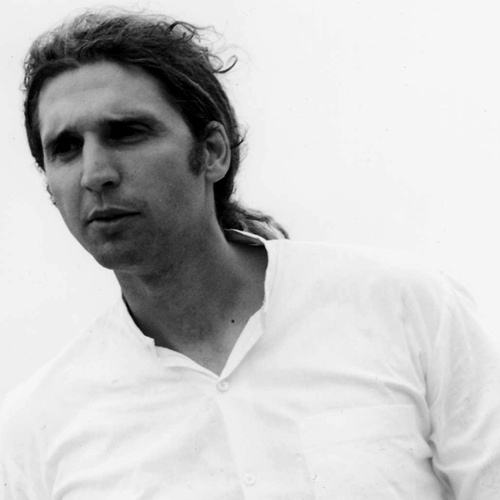 His hybrids of performance and sculptural installations have been shown as one of the official projects of Toronto’s 2014 Nuit Blanche, as part of the Art Gallery of Ontario’s First Thursday events (2014), as well as in solo exhibitions for Rodman Hall Art Centre, Latcham Gallery, Art Gallery of Hamilton and Thames Public Art Gallery, and more. He has developed performances for the Factory Media Arts Centre (Hamilton), the creative think tank Dodolab, the University of Lethbridge Art Gallery, Cambridge Galleries, WKP Kennedy Gallery, McMaster Museum of Art, the Spasm II Contemporary Art Festival, Saskatoon, and more. The artist received the 2007 K.M. Hunter Award for Visual Arts, as well as grants from Ontario Arts Council and the Canada Council. He lives in Hamilton, Ontario. Our understanding of a campfire tends to cast it as unpretentious and democratic. There is no focal point other than the fire itself; no leader of a fire, often no precise agenda. It is a casual, democratic, egalitarian, clannish means of gathering. The outdoor fire as a social and cultural convention is one that can seamlessly trace it’s way through the history of Todmorden Mills: from the campfires currently used as part of Todmorden’s summer educational programs to gatherings of shack dwellers on the Don Valley Flats, to first nations inhabitants stretching back centuries. Regardless the circumstance, it is likely campfires on this site as having always been communal, impartial, modest, and pragmatic. Simon Frank is a visual artist investigating the complex relationship between nature and culture. He obtained an Honours BA from the University of Guelph in 1991. He has developed exhibitions and outdoor installations for the McMichael Canadian Art Collection, Art Gallery of Hamilton, Rodman Hall Art Centre, Koffler Gallery, Royal Botanical Gardens, WKP Kennedy Gallery, MacLaren Art Centre, Art Gallery of Mississauga, McMaster Museum of Art, Grimsby Public Art Gallery, and The Tree Museum. His durational performance “Burrman” was part of Scotiabank Nuit Blanche 2013. A permanent street installation “Concrete Poetry” was commissioned for Locke Street North by the City of Hamilton. 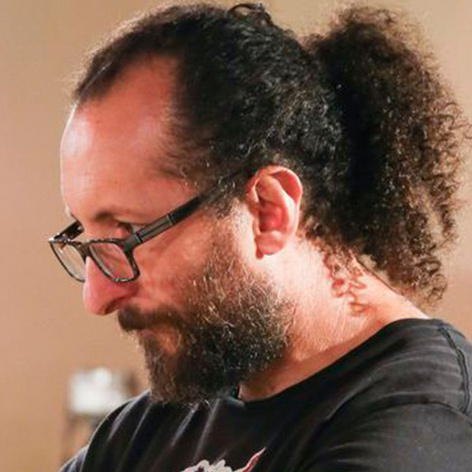 He has received grants from the Canada Council for the Arts and the Ontario Arts Council. He lives in Hamilton, Ontario. For me, Terra Incognito is a bit of an absurdist work – one that plays upon our disconnect from nature. Previously I described the installation of the work at the McMike as “a humourous, open-ended representation of our inabilities to fully understand the land. The classic “nature interpretive sign” signifies a significant tree in the landscape, as if the tree would be overlooked and missed without the sign to indicate its presence”. At the McMichael, Terra Incognito was set against the backdrop context of the gallery – where the tree signs played off against the iconography of the G7’s landscape paintings – where the cultural objects obfuscate the ability of people to recognize the power and importance of the artists’ original “source material”. 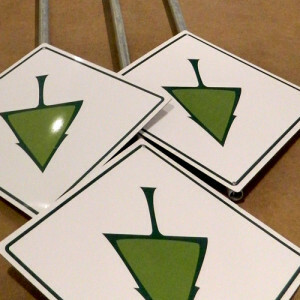 At Todmorden Mills, the installation will represent that same disconnection from the natural world, but perhaps even more, the juxtaposition of the aluminum and steel signs with the root balls – where the sign is understood as a replacement for the living thing – will signify the intensity of urbanization around the historic site. As Toronto has grown and become increasingly urbanized over the centuries, Todmorden has changed very little – preserving a record of an earlier time when the relationship people had to the land that sustained them was different than that of today. John Loerchner and Laura Mendes have been collaborating for eight years under the Labspace Studio banner. Both are graduates of the University of Toronto’s Visual and Performing Arts Department. 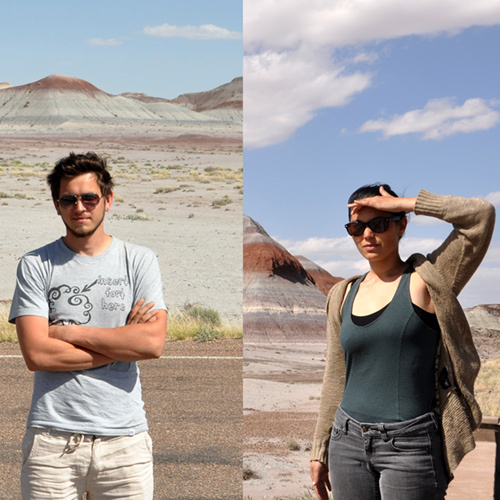 Their art projects and curatorial initiatives are often site-specific and participatory in nature, blurring the lines between art and life, incorporating elements of performance,installation, multimedia and public-generated content. Recent and upcoming projects include commissions for Maison Des Arts in Quebec, Toronto’s Pam Am Games, Art Souterrain, Nuit Blanche, The Artist Project Contemporary Art Fair, Art in Transit, Harbourfront Centre, and No.9 Contemporary Art & The Environment. Labspace Studio has been commissioned for a second year to bring their Don Was Here outreach project to the Eco-Art-Fest at Todmorden Mills. 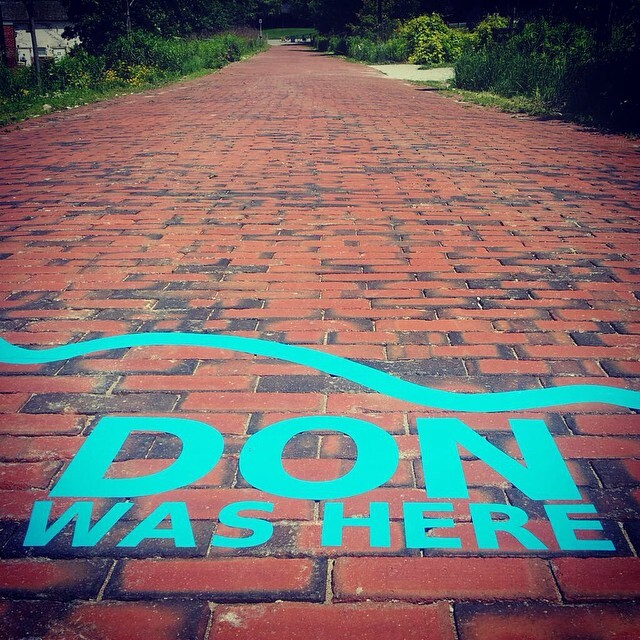 Don Was Here is a meandering public installation that retraces the original “lost pathway” of the Don River and leads passersby on an experiential journey to Todmorden Mills — Toronto’s first industrial community. 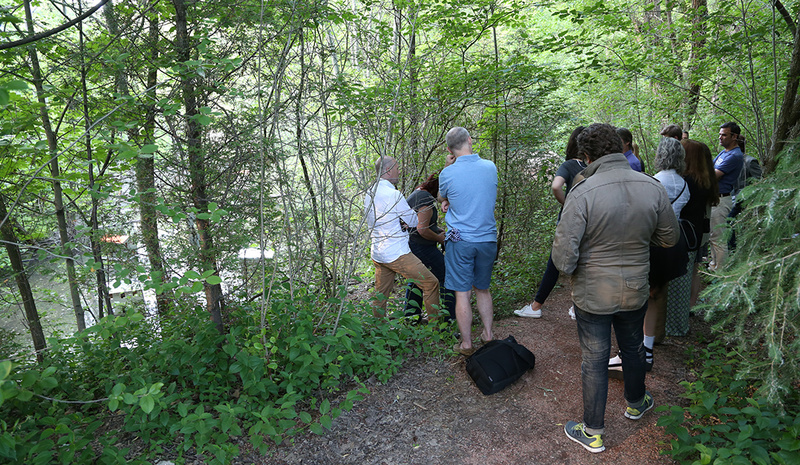 Marked along the Lower Don Trail in locations where the original river route crosses the existing pathway, Don Was Here encourages pedestrians to stop, reflect and consider the historical significance of the Don River. Few people realize that at one time in history the Don River curved through several of Toronto’s main streets including Queen, Dundas and Gerrard, making its way through Riverdale Park, and snaking through the grounds of Todmorden Mills. This installation stretches from the base of the Lower Don Trail at the Pan Am Village and Corktown Common Park, all the way up to Todmorden Mills. 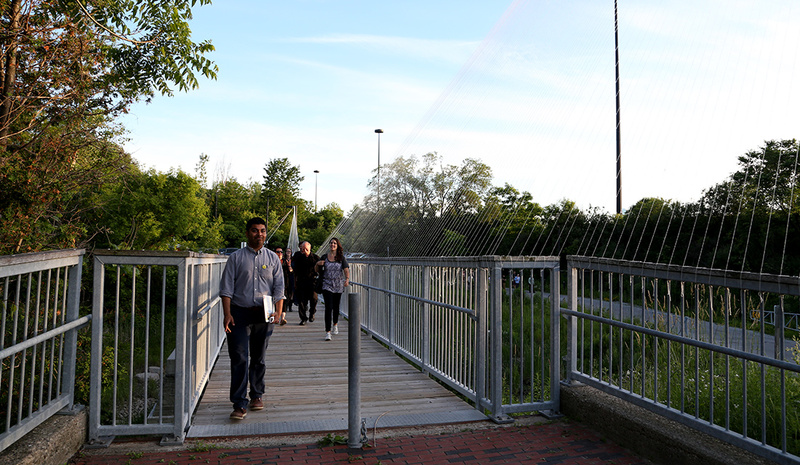 In conjunction with this project, Don River activist John Wilson will lead two walking tours along the Lower Don Trail. 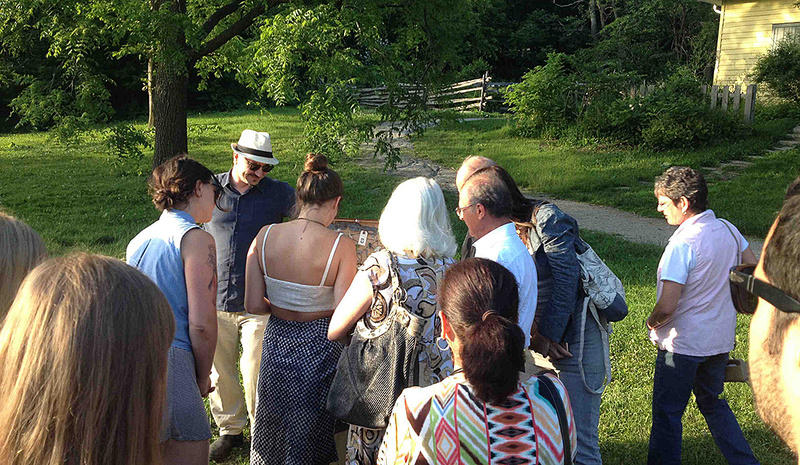 Tours will explore the changing face of Toronto’s Don River Valley and the relationship between the river, the valley, and the city that developed alongside and around it. Visit DONWASHERE.com to sign up for the art walks, view an interactive map of the original Don River, and to post photos of your walk along the Lower Don Trail. John Wilson has lived in Toronto for 43 years, most of that time in the east end. His interest in urban ecology began during long walks on the Don River. In 1995 he was appointed by City Council to the Task Force to Bring Back the Don. He chaired that body for 11 years. He is also active on Toronto Green Community’s Lost Rivers Project, the West Don Lands Committee and a number of waterfront advisory groups. John has authored several online walking guides, and leads numerous Lost River walks. He holds the M.B.A. specializing in Non-Profit Management and Business Sustainability from Schulich School of Business at York University. Gareth Lichty studied Fine Arts at York University in Toronto and Sculpture at Leeds University in England. 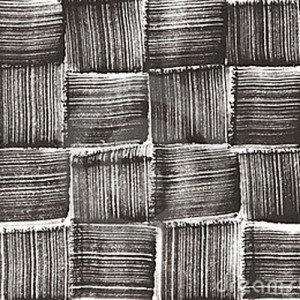 He has exhibited internationally and nationally with exhibitions in Europe, New Zealand and Canada. 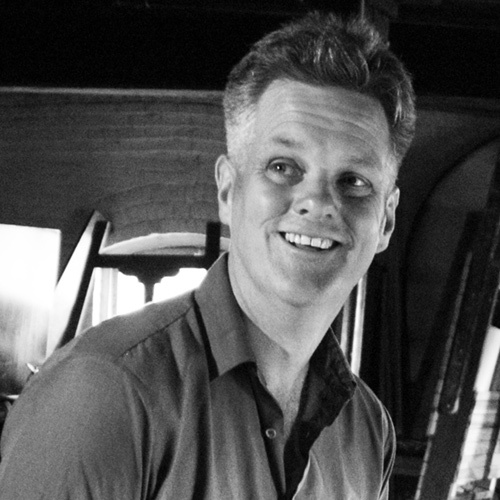 Lichty has been a Director of the Board of directors for CAFKA (Contemporary Art Forum, Kitchener and Area) since 2005 and Board chair from 2009 to 2012. He has received grants from the Canada Council for the Arts, the Ontario Arts Council and the Waterloo Region Arts Fund. He is currently part of an exhibition at the Carlton University Art Gallery titled ‘Human Nature’ curated by Corinna Ghaznavi. His work can be viewed at www.garethlichty.com. I am interested in the many physical and historical layers that exist at Todmorden Mills and the constant state of flux the site has endured as an important site at the heart of the Don Valley and periphery of the largest city in Canada. 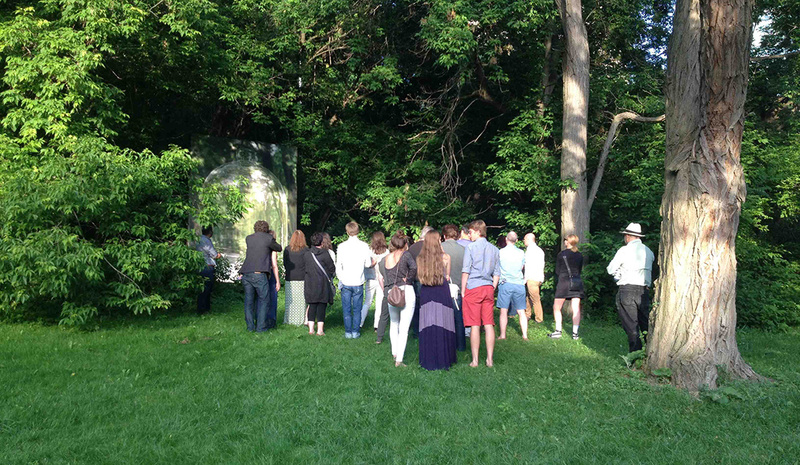 The hand woven grass patch installed at Todmorden Mills will weave these histories together. The cut strips of sod are hand woven, and laid over a mound of earth. My goal is not for the grass to take root and grow; on the contrary, it will be constructed so that it is doomed to die. The color and texture will transform throughout the duration of the exhibition, from a luscious green to a dry, stiff, brown. What will initially look like a heavily manicured garden statement piece will ultimately resemble an overturned woven basket. Through this transformation, I aim to simultaneously illustrate the failure of unrestricted growth, and call for a return to older ways of living and knowing. I am concerned especially with the unsustainability of the manufactured landscape, and this work is very much a response to the role of the urban/suburban lifestyle in climate change, most recently illustrated by the drought crisis in California. Responsiveness to space and engagement with its architecture, landscape, history and ideologies is central to my practice. My choice of material or modality fluctuates depending on the project, some ideas require an installation or intervention while others can be dealt with in a single photograph or drawing. Whether it is my large scale beeswax architectures or my trompe l’oeil photographs I try to bring a sensory intensification, a haptic quality to the encounter. In 2007 I received my MFA from the State University of New York and in 2010 I was elected to the Royal Canadian Academy of Arts. 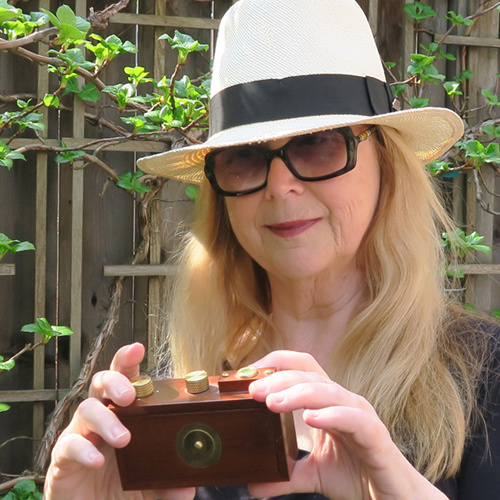 I have had over 25 solo exhibitions, nationally and internationally with key works at such notable museums as the Albright-Knox Art Gallery, Buffalo, New York, Ganna Walska Lotusland, California, and ACT Design Museum, Canberra Australia. 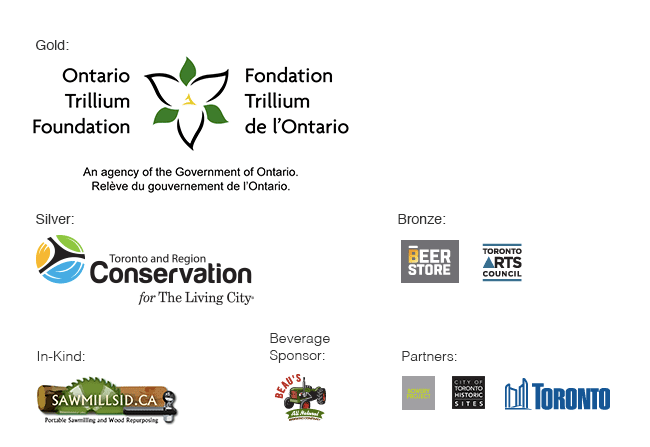 Upcoming projects and exhibitions include build… build better, a beeswax site intervention at the Historic Zion Schoolhouse, Toronto ( September 2015) part of the Toronto Arts Councils Artists Animating Historic Sites. In 2016 I will begin a yearlong project as part of the 10th anniversary of the shooting at Dawson College, Montreal in 2006. My project entitled Cleave …a path in the wilderness, comprises a solo exhibition/installation (a beeswax garden), a portfolio of prints and photographs created in collaboration with the bees and the urban beekeepers and a semi-permanent intervention in the “Peace Garden”, the ecological garden created to commemorate the students who were killed or injured during the senseless violence. In the summer of 2014 The Tree Museum published the catalogue Daphne which documented the Artist In Residency at Ganna Walska Lotusland 2013. Cloche is a large photographic sculpture installed in situ. It is part of an ongoing project entitled Genius Loci; the genius of the place or disorder of the picturesque. This project began in 2006 with research into futuristic architecture and more specifically that of the large glass conservatories or greenhouses of the 19th & 20th centuries, such as Allan Gardens, Toronto. 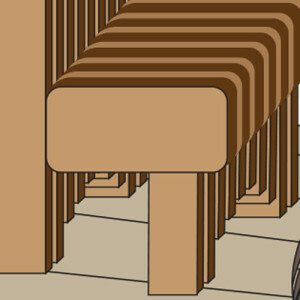 These structures were the first modular architecture of the Industrial Revolution. They are romantic structures and now function with authority as museums, monument, and theatre, while nature under goes a process of displacement, diminution and transplantation, lodging the glass structures in our collective memories and imaginations as replacements and reminders of Eden. Simultaneous to this research I had begun to collect glass bell jars common in the Victorian era as small miniature greenhouses. The function of these domestic domes was to nurture seedlings or to contain special rare miniature plantings. While walking in the woods a couple of years ago I began to imagine what if there was a huge glass bell jar at architectural scale hidden amongst the trees. I decided at that moment to site and photograph my real 18”glass domes in the Northern Ontario boreal forest with the intention to enlarge the photograph to a scale that would transform it into a trompe l’œil. Further the process of photography made me aware of the re-fraction on the glass of the exterior world. I knew then that I wanted the inside of the bell jar to be empty and the trees reflected on the outside, contrary to the function of the bell jar. 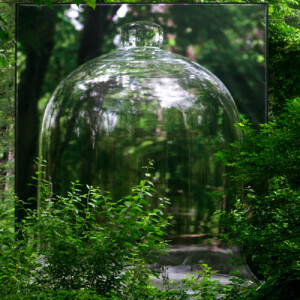 Once the photograph was enlarged to architectural scale, and installed in the forest, Cloche became a blind, an illusion or a suggestion of an architectural folly. The inversion and the tension between the wild or seemingly disorder of the forest; the reflection of the forest on and through the glass jar; the transformation of the domestic object to architecture; the siting in the forest and the photographic process itself all suggested trace and apparition. The layers merge together and explore intrinsic paradox, metaphors and blurs which enhance the experience of this imaginary site or daydream of the garden. José Luis Torres is a Quebec resident and Argentina-born sculptor. His work continually explores a transitional state of being, from a migration perspective. 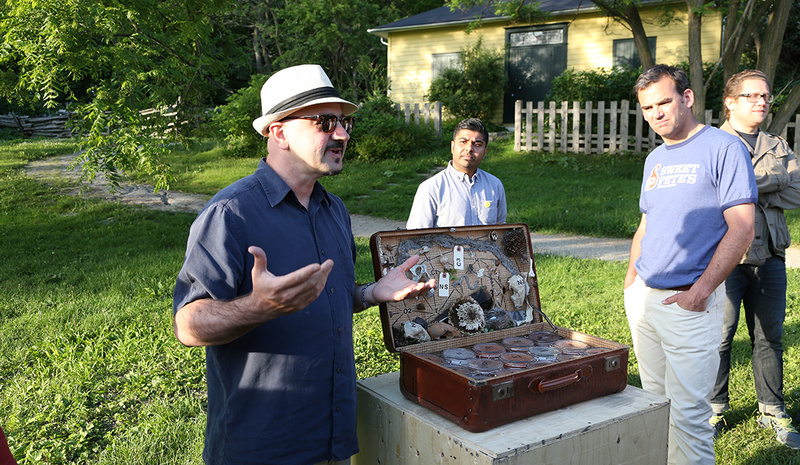 Torres’ artwork has been exhibited broadly in Canada and almost a dozen countries abroad, using his “aesthetic of a fortuitous collector”. With his work, Torres explore questions of conceptual boundaries framing art, people and environment. 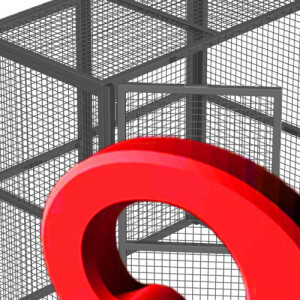 The installation speaks to our obsessions, it evokes a place of absolute protection guaranteeing our security, but can also be interpreted as a device that restricts our access. Set in the landscape, this work strongly emphasizes the contradictions we face in everyday life. In this respect, the installation “Securitas” is as an evocative sign of the dehumanizing effects of modern life radically show in opposition to the environment. The work awakes the public to many residues produced by the activity of industries, with a stern look on all the waste we like to forget, and never accept the responsibility.